I first became exposed to revolutionary theory in prison, although I had been a reader my whole life. Prison has become my classroom for revolutionary knowledge, not because the state ensures this, but because I came in contact with politically conscious prisoners who helped instill a consciousness in me. Groups like MIM helped to fuel my early cultivation through liberatory literature and I was able to engage in study groups throughout my prison journey, facility to facility and yard to yard. Study groups were the key to my own development. It is a fact that U.S. prisons are used for social control of prisoners, who are mostly from the internal semi-colonies. Colonized people have always been subjected to brutal prison conditions but dialectical materialism teaches us that we can transform our environment, including prisons. In order to revolutionize these modern day slave kamps we need to study to revolutionize ourselves. People are social beings, and as strong-minded and determined as we think we are, the truth is we learn best through interacting with our environment and especially other people. We learn best by discussion and debate. Asking questions helps us get answers, and when we are having trouble grasping a concept, studying with others allows us to learn. Teaching others also helps the teacher to learn themselves. The study group facilitates all of this. In my own experience with study groups within U.$. prisons I have found that besides developing one's own political thought, study groups also teach one how to interact with others and what are the best ways to translate or explain our social reality to the people. We should understand that in many ways those of us who study political science and engage in study groups within prisons operate like political organizations out in society that do outreach to the masses, only our fellow prisoners are the masses. Just as our counterparts outside prison walls constantly attempt to learn from the masses in order to better help the masses, we should do the same with our study groups. 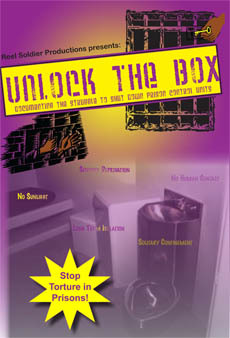 As prisoners, those of us who are conscious must revolutionize these dungeons. We have boots on the ground, and study groups within prisons should develop programs which help educate all of the prison masses, not just those involved in a study group. In this sense a study group can serve as the vanguard in their facility. Study groups have helped me understand my oppression and the oppression of Aztlán, and through them I have become a better persyn. Understanding politics and theory has given me purpose and has helped me to help other prisoners to better their existence. In short I have not just learned about hystory, as when I study alone, but I have learned different methods of using the lessons of hystory to revolutionize the future. How do study groups operate? Depending on one's facility, study groups take on various formations. I have experienced many, from formal groups studying political science while on the mainline where one can meet face to face on the yard and discuss different aspects of society, to yelling through an air vent to people I couldn't see. I was in one spot where every few days someone picked a different country and we discussed all of the uprisings in that country. People would search old magazines, books or newspapers to find anything on that country. Another study group I participated in was in a facility that was highly restrictive with revolutionary literature. Since none of us was too politically educated we got whatever newspapers or progressive magazines we could, and we would discuss the articles, and attempt to apply them to other aspects of society. If we look to Mao's China, and specifically to the time of the Cultural Revolution, we will see that every level of society was touched by Maoism, even the prisons. When I read about prisons in Mao's China I learn why it is that Maoism is considered the highest stage that socialism has developed so far. The study groups developed by prisoners during the Cultural Revolution involved thought reform. This means understanding why one has particular thoughts and finding ways of correcting incorrect ideas. This was reforming one's errors on levels that many of us cannot even imagine. It was a process of dialectics where prisoners would study the essence of their actions and behaviors. They would also engage in criticism-self-criticism where they would look into their own errors or the errors of others so that they all learned and evolved as a group. The prison study groups in Maoist China did not conduct criticism-self-criticisms in order to ridicule or bully people; instead it was done to really point out the error and get the persyn to understand their error. One cannot change a behavior if one does not know or truly believe that they are committing an error in the first place. What we must understand is every prison in Mao's China had these daily study groups, which were fully supported by the people's government. In this way prisoners learned and became better people because of the study groups. 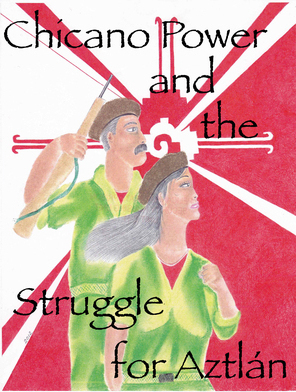 They became people who went on to help build the revolution. In contrast to Mao's China, here in U.$. prisons we are simply warehoused. We are placed in a cell where we are taught nothing, and this is done for years and decades. If we are lucky we are released and come out the same or worse than we went in. We don't learn from the state because under capitalism they don't have any use for us other than filling a cell. And when we try to form study groups we are punished and our studies are falsely labeled as gang activity or security threat activities. This is the difference between a Maoist society and a capitalist society; one heals people, the other destroys people. All of this was part of the political line of China under Mao which put into practice the theory that people can learn from their mistakes and become productive members of society if they take study and self-criticism seriously. In Amerika's prisons today we find the oppressed rather than the oppressors, but there is still an important role for self-criticism in the anti-people actions of many lumpen. And the study of political theory is especially criticial to the oppressed as we hone our understanding of how to fight back against the oppressors. Mao reminds us that education is to make us better people. In the above quote he describes education being used to help people become workers. Although we are lumpen, education can help us become lumpen with socialist consciousness and culture. Forming or participating in study groups is not easy. There are many obstructions we have to deal with. As most know, U.$. prisons unleash political repression in the guise of upholding their laws. They criminalize political organizing and revolutionary activity of the imprisoned captives by labeling it "gang activity" or "security threat group activity." There were times when I would get a good group of people together and we would have a good study group going and then the prison, out of nowhere, would move people out of the building or section, scrambling the housing population and dismantling the study group. The study group is disrupted, but this only means that we need to start over. Sometimes I would be somewhere and gather lots of notes on political articles or uprisings and I would use these for groups, only to have my cell searched and all of my notes trashed, with a guard noting "gang notes." Likewise I would acquire a good selection of revolutionary books only to be transferred to another prison and in the process all of my political books would be "lost." Once I was in a control unit where the prison put me and a New Afrikan next to each other and everyone else in the unit was juiced up on psyche meds kicking their door all day. The prison did this to further isolate us from our nations. So we formed a study group together and discussed ULK and other books. When things get repressive we need to keep studying and educating each other, no matter how hard it is. Study groups can also be done through the mail. MIM(prisons) facilitates some of the best study groups I have encountered. But this invites censorship and sometimes harassment from the prison staff. We have to understand that learning about our own repression and about communist theory is something the state seeks to prevent. Prisoners learning about revolutionary theory scares the state because it means we will learn and turn theory into practice, against them. We should understand that repression will happen regularly. This is why studying is so important, so that when our mail is censored we have books and literature to fuel our study groups. And when our lit and books are "lost" we can remember our lessons and teach others key concepts like dialectical and historical materialism. We can help other prisoners understand why we need a united front or how the oppressed within U.$. borders developed as nations. We will know all of this and what kind of program we will need to liberate the people because of what we learned in our study groups. What we do today and how we spend our time in these dungeons will determine what the future of these dungeons will look like. At the same time study groups should produce theory and theory should produce practice. We are not studying to be armchair revolutionaries, we are studying in order to ultimately join the oppressed of the world in smashing imperialism. 1. For more on prisons in Maoist China see Prisoners of Liberation: Four Years in Chinese Communist Prison, by Adelle and Allyn Rickett, 1973. 2. Mao Zedong, "On the Correct Handling of Contradictions Among the People", 27 February 1957.